Yep, the sun is shining and we are certainly having a heatwave at the moment. It's been beautiful. And it's strange to think that we are only just in May. 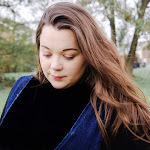 Months after hibernating under those chunky knits, thick jeans and tan boots it's time to get ready for the bare leg season. Now I must admit, I am not a great lover of the sun because I have fair skin and tend to burn really easy. I wasn't bless with the skin that can go brown. I go full on lobster red, peel and go white again. However, it's not just me I have to worry about. I have a three year old daughter so we really need to be careful and make sure that she is protected all the time. So protection is something that we all need. There are so many benefit to using sunscreen, by protecting you from harmful radiation from the sun, sunscreen reduces your risk for skin cancer, premature aging and sunburns. You can optimise your protection by choosing the right sunscreen, wearing it regularly and using it as directed. 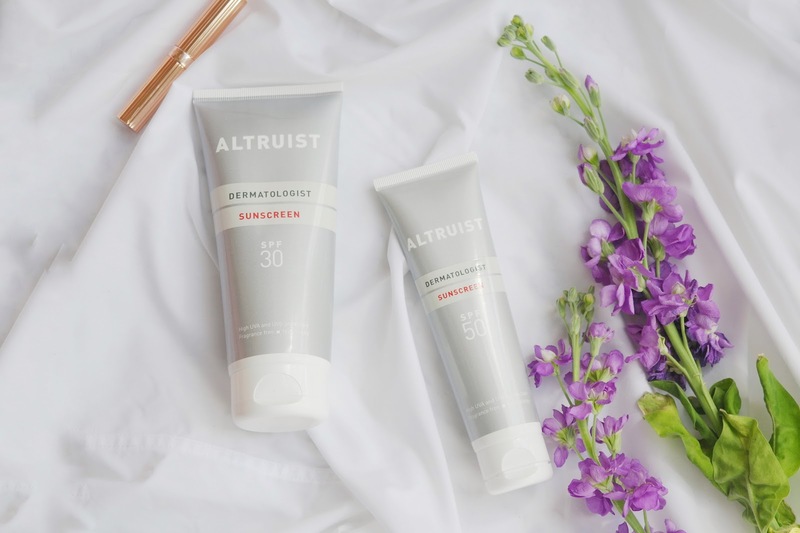 And recently we have discovered a brand Altruist that will help use take care of our skin this summer. Altruist was created by Andrew and David; two friends who met in Africa. They met many years ago whilst working in Durban, South Africa and became good friends whilst sitting in the morning sun on surfboards in the Indian Ocean. They set out with a vision: to reduce the incidence of skin cancer by enabling more people to use more sunscreen. Together with the help of the best scientists in Europe and BASF they created an exceptionally high quality sunscreen at the lowest possible price. It is our mission to reduce the incidence of skin cancer through the increased use of quality sunscreen together with better education and awareness. We were kindly send over two products from Altruist. Sunscreen for both myself and my daughter. The Sunscreen SPF 50 for my daughter has been formulated to include safe and effective pharmaceutical materials that gently care for and nourish delicate infant skin. I was looking forward to trying this sunscreen lotion on my daughter as it promises to offer a high sun protection. I won't put anything that is less than factor 50 on my daughter, she has fair skin and would hate for her to burn So, a day at the beach and armed with our new SPF 50 Sun Cream we went to the beach and jumped in the waves. When we applied the sun cream we could see it creates a waterproof protective film, making it easier to get an even coverage. The formula is enriched with UV Protection, moisturizing elements, emulsion and preservatives to help protect against dehydration and irritation. Not only that, it's a hypoallergenic formulation, fragrance and paraben free it's also water resistant. I really like how quickly this absorbed into my daughter's skin and didn't leave any marks on her skin. With most sun screen they need to be reapplied regularly and we reapplied every twenty to thirty minutes. We also received some SPF 30 too, which is basically the same as the SPF 50 but with a lower factor and smaller bottle. Meaning it's more so for adult and one that you can pop into your beach bag or handbag when out and about on adventures. There’s a debate about exactly when in your make up routine you should apply sunscreen. Apply straight after cleansing and your essence, serum/oil/moisturiser can’t get to your skin and do their work. But apply after primer, then your foundation won’t ‘stick’ to your face. The chemicals in sunscreen take time to bind to your skin and become fully protective. Apply your sunscreen before you go out. Sunscreen on the skin should be applied 30 minutes before you go out into the sun. Lip sunscreen should be applied 45-60 minutes before going into the sun. Sunscreen needs to be on the skin to be fully effective. This is especially important in the water-resistance factor. If you put on sunscreen and jump into the pool 5 minutes later, much of your protection will be lost. This is also very important for caring for children. Children are usually wriggly and impatient, and are usually doubly so when excited about an outdoor adventure. Instead, try to sunscreen before leaving the house, or in the parking lot, or waiting for the bus. Use enough. One of the biggest mistakes in using sunscreen is to not use enough. Adults usually need about an palm full. To apply cream or gel sunscreen, squeeze a dollop into your palm. Spread it all over the skin that will be exposed to the sun. Rub the sunscreen into your skin until you can't see the white anymore. Apply an even, generous coating. Be careful when applying spray sunscreens around the face, especially around children. Reapply after 15-30 minutes. Studies have shown that re-applying your sunscreen after about 15-30 minutes after going into the sun is more protective than waiting 2 hours. Once you’ve done this initial reapplication, re-apply sunscreen every 2 hours. Sunscreen is the most important step in your daily skin care routine, so don't avoid it! If you haven’t already incorporated it into your routine, do it now, for your ageing skin and for the ultimate protection. 1 comment on "Altruist Sunscreen"
Is It Time to Restore The Floor?